The alarm sounds at 8 a.m. sharp, an abrupt siren that pulls me from a heavy sleep and back to the reality of my New York apartment. Tangled in linen sheets, I take in my surrounds and can't help but shake a sense of disconnect: Something just doesn't feel right. I've lived this scenario every morning for the last year, and until now, I couldn't understand why. My morning deja vu might seem obscure, but it's exactly the scenario Rashia Bell seeks to resolve. A trained interior designer and crystal healer, Bell practices what she calls "energetic design." Mainstream interior designers focus on aesthetic when they decorate; Bell's practice, The Cristalline, goes one step further and asks, how does the space make you feel? "People come to me and say, 'Somethings not working. It feels off but I don't know why,'" she tells me when I invite her over to my East Village home. "Then, when we do a crystal healing, we often find out that something in their life isn't working." After the initial hour-long consultation, Bell offers décor and crystal recommendations, which often act as a catalyst for change. "Afterwards, people who feel stuck often make a major change like quitting their job or mending a relationship," she says. In her line of work, decorating isn't confined to four walls—it's an energy-led process that has a very real effect on those who live in the home. I hear you—before chatting with Bell, I probably would have rolled my eyes at this part. I'd never done a crystal healing, I avoid getting my fortune read, and I take Feng Shui tips with a grain of salt. Yet after having chatted with Bell, I feel more at ease in my bedroom and view design as a holistic process, not simply an aesthetic one. Our session starts with crystal chakra clearing. Bell asks me to lie on the couch face up and close my eyes. I do so, albeit a little awkwardly, and she places a colored gemstone on each of my seven chakras, which are considered the centers in our bodies through which energy flows. Bell asks me to visualize a bright ball of energy and imagine moving it to each chakra. During this process, she holds a bloodstone crystal pendulum over my body, which is said to balance the lower chakras. Halfway through, I decided that if nothing else, this was an incredibly relaxing experience—until two changes occurred. When Bell placed a stone on my throat, it instantly tightened and felt heavy, which can mean there's a problem with communication. That week, I had a rare argument with a close friend that was still unresolved. Then, the pendulum swang erratically over my lower chakras, suggestions digestive issues or even menstruation. I'd just gotten my period. Sure, this could be a coincidence, but the crystal chakra clearing certainly surprised me. It encouraged me to open my mind and listen to Bell's advice. After this session, we talked about each room in the apartment—when it was decorated, why I chose objects and furniture, and how it made me feel—to assess the energy in my home. Here are some of the most valuable insights I learned from an energetic interior designer and why it's changed the way I decorate. The first thing Bell noticed about the living room was the abundance of light sources—a design element she often recommends to clients. "Buying dimmers is one of the cheapest ways you can change the mood and energy," says Bell. 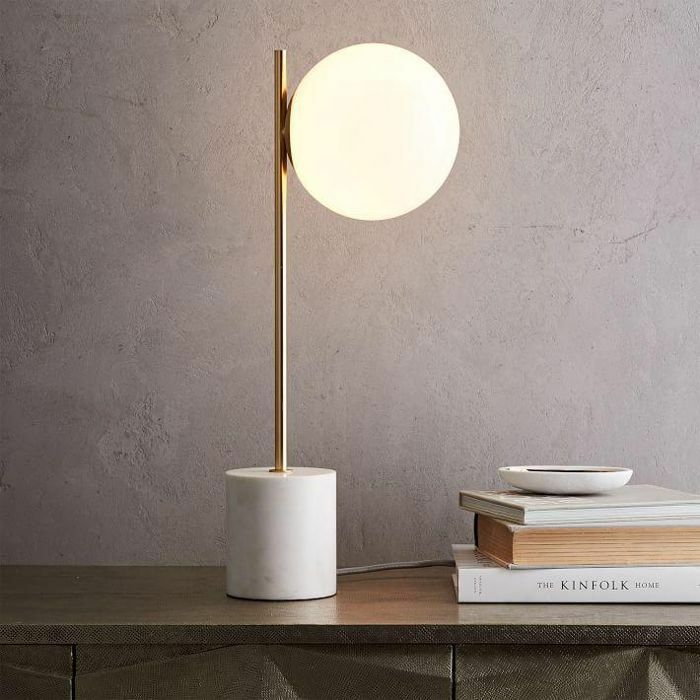 Lighting has a big impact on how we feel in a space, so it's smart to layer different types throughout your home, from lamps that emit a soothing soft glow at night to overhead pendants that offer instant bright light during the day. She recommends creating rituals with both lighting and scent to change the energy in a space. Start your day by switching on a cool-colored overhead light and citrus oil diffuser to feel invigorated; end the day with a soft yellow accent light and a soothing lavender candle to unwind. When I ask Bell about the energy in my bedroom, she immediately calls out the huge cactus in the corner. Decorating with plants is a great way to improve air quality and create a sense of calm, but cacti is an exception. Aside from being an impractical bedroom plant, Feng Shui experts believe cactus redirect negative energy so should be placed in the corner of a living room. Positioning a large cactus next to the bed can create a slightly hostile, uninviting space—perhaps contributing to my gut feeling that something is amiss. Another aspect that makes the space feel lacking is the white walls. While the kitchen and living room walls are adorned with drapes and artwork, the bedroom is relatively sterile. She recommends hanging or leaning artworks that add character to the room in a soft and soothing color palette. A white curved wire artwork by Bemz gets her nod of approval. My décor aesthetic is minimalist, monochrome, and modern, which translates to sculptural furniture and a dark, brooding color palette. While this suits my sense of style, it can feel harsh and severe without natural elements, like plants, flowers, and wood accessories. Her top advice to improve the energy in this room is to incorporate décor made from natural materials. 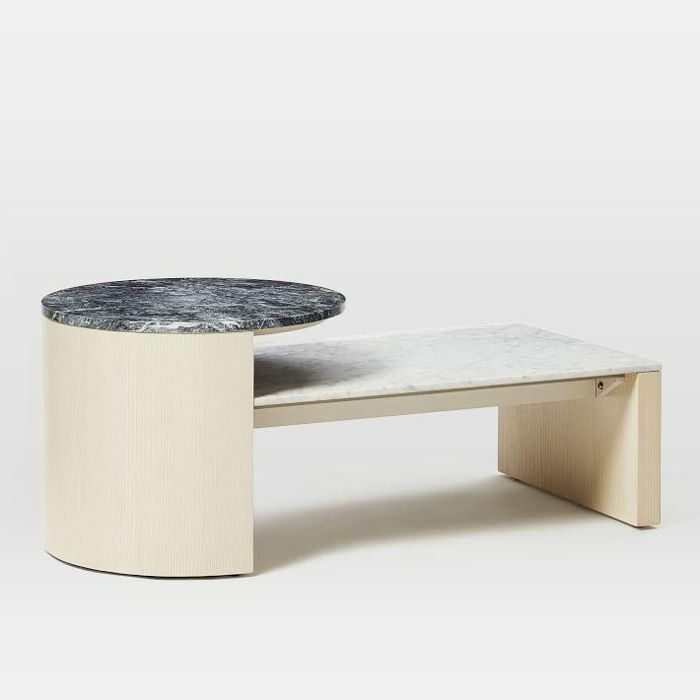 "This coffee table is such a great piece because it's made from stone and the marble grain creates a sense of movement," she says. She recommends adding additional natural materials, like a raw wood tray or crystal bowl. If something feels off in a space and you can't pinpoint why, consider the combination of furniture with hard and soft lines. "Make sure you break up some of the harsh lines in the apartment," she recommends, referencing the steel-frame side table and rectangular brass mirrors. "That might be by adding a stack of pillows on the floor or an ottoman under the console—just something to add some softness to the space." Interestingly, she didn't have an issue with my dresser, which houses a collection of old perfume, half-used serums, scattered jewelry, and mismatched polaroids. "Hone in on one area and ask yourself how it makes you feel," she says. "If it makes you feel good and evokes memories, then that's a great sign." These stray items might look cluttered to some, but they're sentimental to me. The jewelry was a gift from my mom, the artwork is by my favorite Australian photographer, and the Gucci clutch belonged to my late grandmother. Surprisingly, my equivalent of a junk drawer gets Bell's seal of approval. When the session comes to an end, I look around the same one-bedroom apartment with a completely different decorating perspective. Much like Marie Kondo's ethos, Bell believes the items in our home should spark joy, and that questioning each one will result in a more intentional, personal space. If you avoid a part of the apartment, ask yourself why. If you wake up to a sterile bedroom and feel disconnected, ask yourself why. After all, the best homes don't just look good—they make you feel great. Up next: the styling trick that made our editor's home feel 10 times bigger.